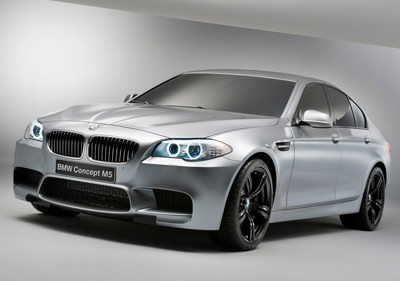 BMW's Concept M5 is more or less only a concept by name. 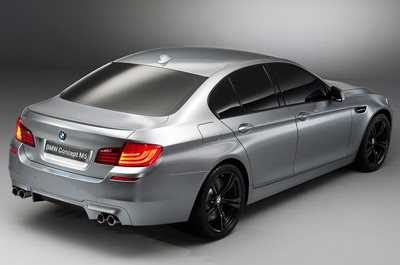 The car made its debut at the 2011 Shanghai Motor Show in China, and its primary role was to act as a preview of the 2012 BMW M5 production car. 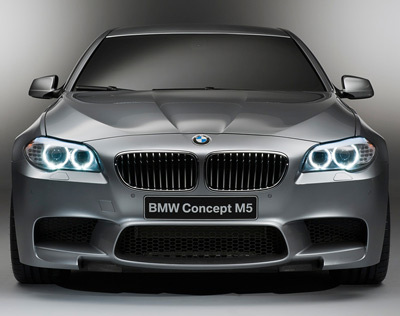 BMW's pre-production concept cars - like the Concept M5 - are usually a fairly accurate representation of the upcoming model destined for the showroom. For example the bodywork is probably 99 percent identical to the production car, as is the drivetrain. Some of the more likely changes along the road towards manufacture are more sensible looking standard wheels, and perhaps slightly larger side mirrors. 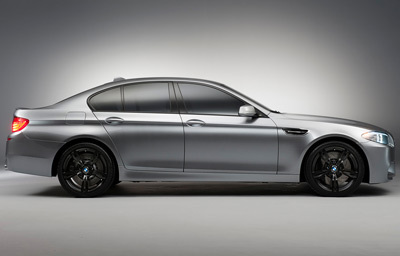 The BMW Concept M5 features a new drivetrain with numerous innovations and other enhancements which have lead to a reduction in fuel consumption and emission levels by more than 25 percent. But it's still an '//M'. 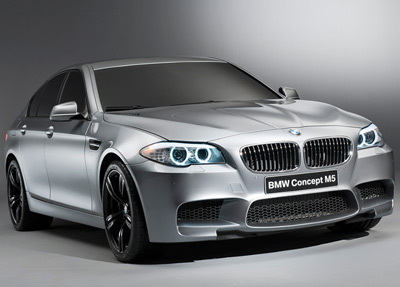 Powering the BMW Concept M5 is a high-revving V8 with two turbochargers. 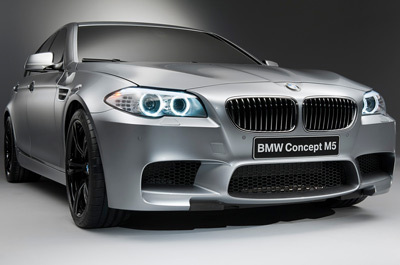 Power output, while not mentioned by BMW, is higher than that of the previous M5's V10. 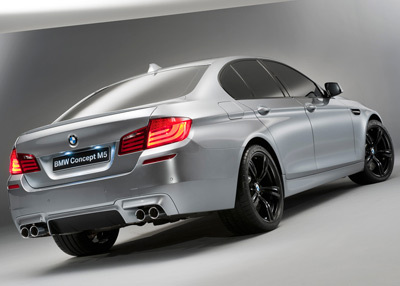 The BMW Concept M5's engine power is transferred to the rear wheels by a seven-speed M double-clutch transmission with Drivelogic. This double-clutch gearbox, which was specifically tuned to the new V8 engine's performance characteristics, offers extremely fast gear shifting, precise gear selection and a high degree of effectiveness that further optimizes the vehicle's efficiency. The combination of the new engine with M Drivelogic is supplemented by an Auto Start Stop function. When halting at road junctions or in a tailback, the high-performance engine is temporarily switched off, thus avoiding unnecessary fuel consumption during idling. To continue the journey it is sufficient to release the footbrake and the V8 engine restarts immediately.